Poll: Recommend Light vs GuemChi? Your vote: Recommend Light vs GuemChi? Predicting Light and Sharp to advance to the round of 16. I think Guemchi is a good chance to get through as well though. guys don't forget today's groups are starting early, probably to accommodate for Ro16 group selections. Yerim won't be playing in this group for reasons relating to his studies. 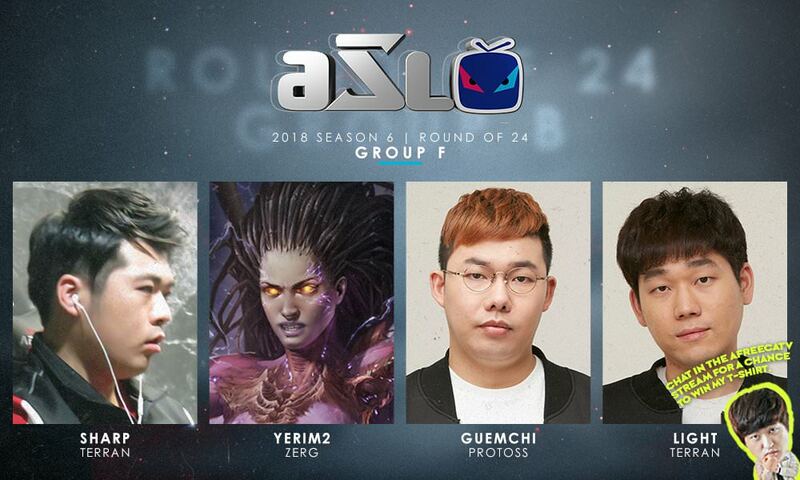 Sad but judging by past groups, new faces are not competitive enough, but still gogo Yerim2!! So only 3 games tonight then? Damn. And I was looking forward to seeing more new players take a crack. I doubt it'll affect the results too much but maybe he should have given up his qualifier place earlier on if he was unsure if he was going to be able to commit to the tournament. Given enough time to organise a replacement, anyway. omg , he should have been replaced by Piano then, who lost his spot to eros_byul in a qualification match although he won group F at the busan qualifier! Well, that's disappointing to hear. Was looking forward to seeing how Yerim2 would do on stage. Yeah. Heaps disappointed that we couldn't get to see new blood on stage. Is it just me or Light looks perpetually sad without actually being sad? Who else is betting on 3 cheeses and the day over in 25 minutes? Wait, why does Sharp only need one win? Does he get a Walk over win for Yerim. Or because he qualified in the first qualifier. Can't see Light coming back form this now. Shame his scouting SCV couldn't see that robo earlier on.